More than 20 years’ experience in fluid dosing. ViscoTec distinguishes itself with its comprehensive know-how in dispensing technology. In 2008, this wealth of experience was expanded with the introduction of the preeflow brand. 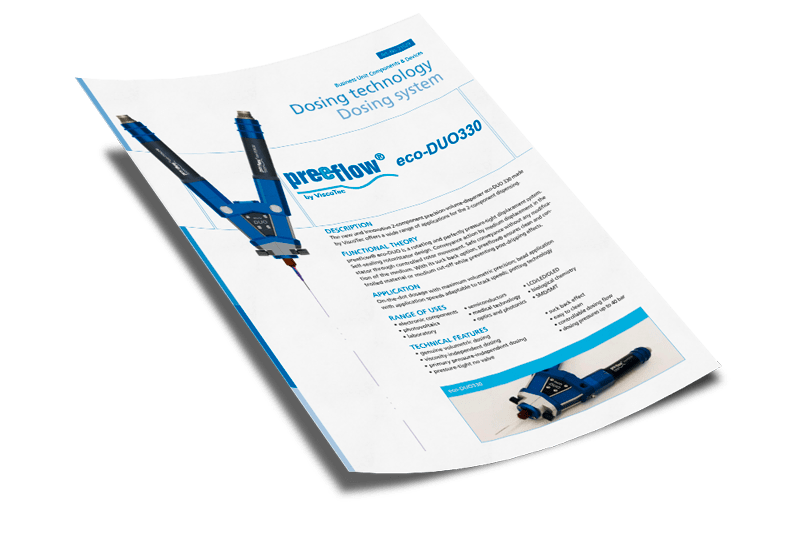 With success: For 10 years, preeflow has stood for precise and purely volumetric dispensing of fluids in small and very small quantities. All over the world, a wide variety of industries rely on preeflow products. Always following our philosophy: Smaller, more precise, economical. 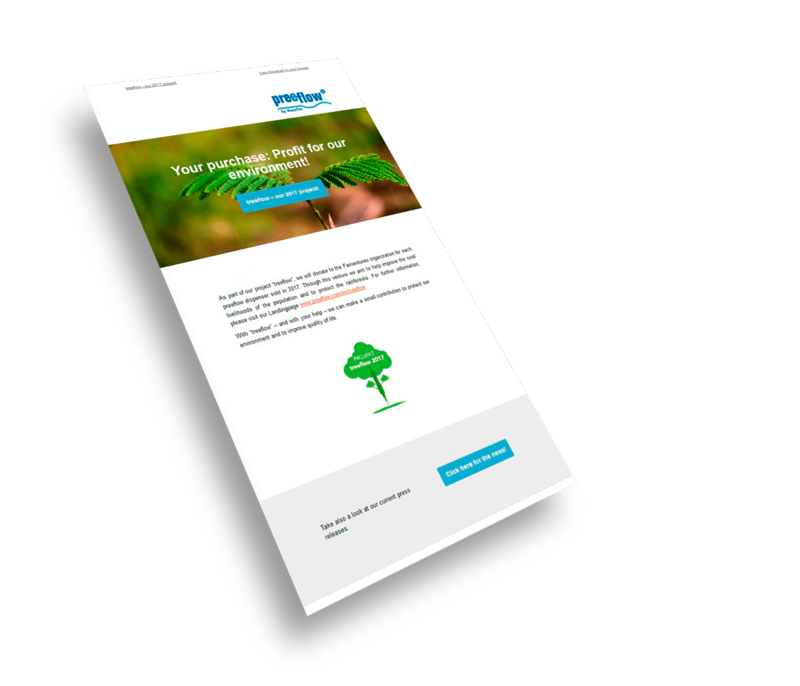 Get insights into our documents and download them conveniently as pdf files. 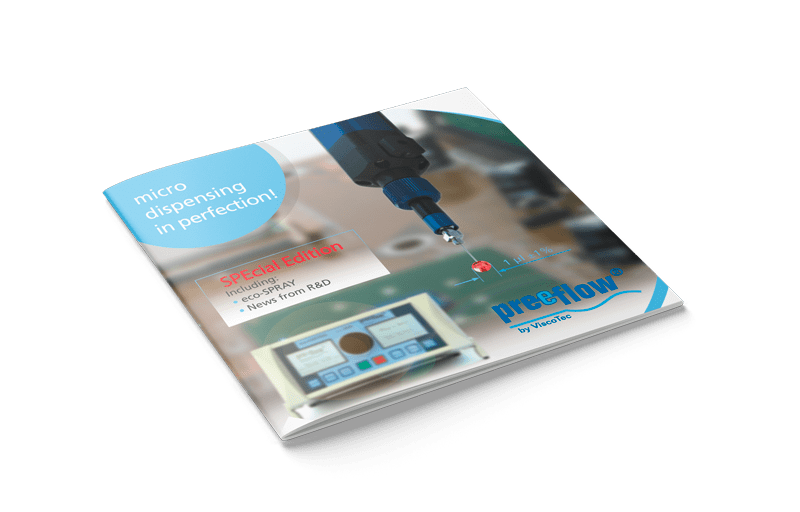 In our documentation you can learn more about the preeflow portfolio and microdispensing in perfection. We explain the endless piston principle. All our dispensers are based on this principle: 1-component, 2-component and spray dispensers. We list processable materials as well as the industries in which we are active. In addition, we supply many other interesting facts about dispensing the smallest quantities of low to high viscosity fluids & pastes. Please send some information about your application.